Republic of Texas Brands Inc.RTXB 0.00%, which exited Chapter 11 bankruptcy protection earlier this month, is blazing a new trail in Texas. 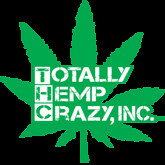 The company plans to change its name to Totally Hemp Crazy and complete a merger with Chill Texas Inc., the distributor of a cannabis-based energy drink made in Austria. “The completion of the acquisition is in process and will be completed before the end of the month,” Tom Shuman, a 30-year veteran of the beverage industry and the company’s new chief executive, said in a statement Tuesday. The new company name will be “highly identifiable with investors and consumers” and will make its new product lines more appealing, RTXB said in a statement. According to RTXB founder Jerry Grisaffi, the first batch of new products are expected to be ready in September. 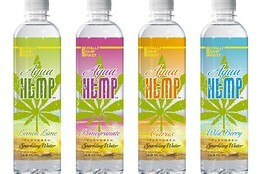 The new products and brands will emphasis the purported health benefits of hemp extracts. Indeed, Mr. Grisaffi said he hopes the ingredients will help land some of the products in Whole Foods Market. On its website, RTXB says it plans to offer an extensive selection of cannabis and hemp-based products, such as hemp oils, hemp energy drinks, candies and chewing gums. Mr. Shuman says the company is in talks with several large investment groups to finance the new products. Originally, RTXB was in the barbecue business, selling barbecue sauce, smoked brisket, chicken, turkey and pork ribs. If not for the bankruptcy and subsequent restructuring, Mr. Grisaffi says he would never have become interested in hemp, which he discovered while looking for new ways to bring revenue into his company. “Sometimes when one door closes on you, another door opens up,” he said.